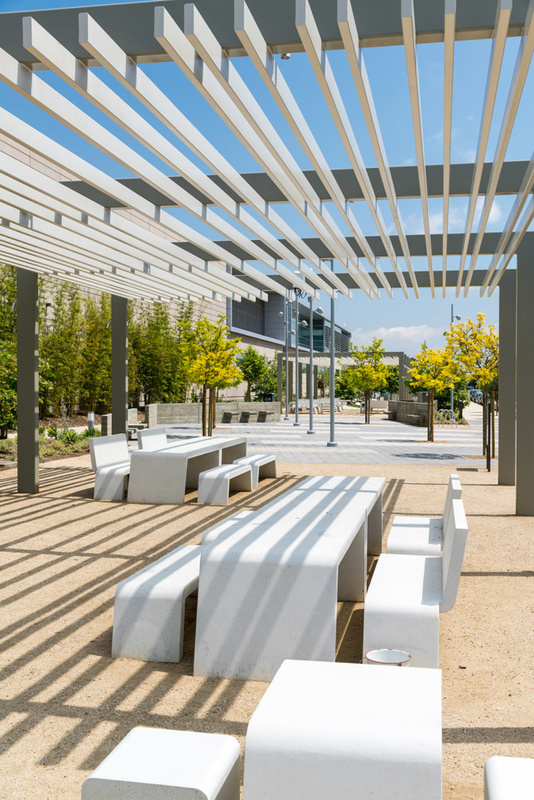 Since opening, L.A.'s Expo Line has yielded many world-class public amenities at its western end, such as the new Ishihara Park by Mia Lehrer + Associates. 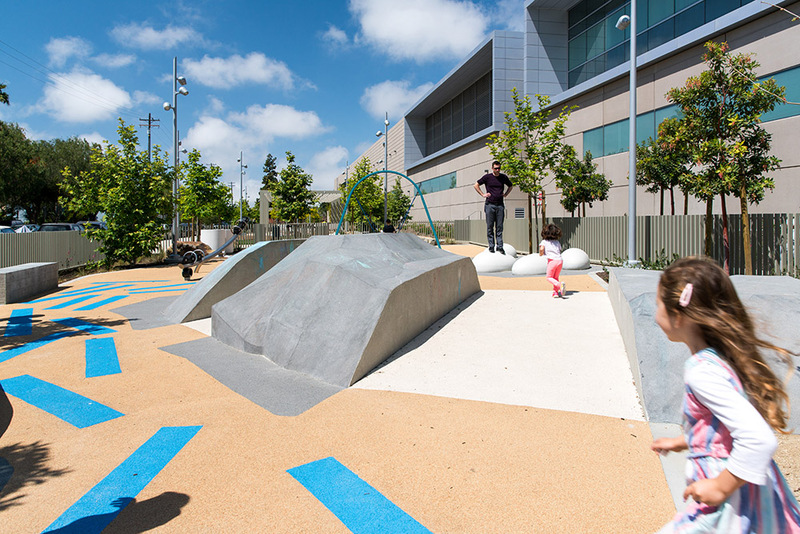 Since opening in 2016, the Los Angeles Metropolitan Transit Authority’s (Metro) new Expo Line light rail has yielded an array of world-class public amenities at its western end in Santa Monica, including the new Ishihara Park by Mia Lehrer + Associates (MLA). 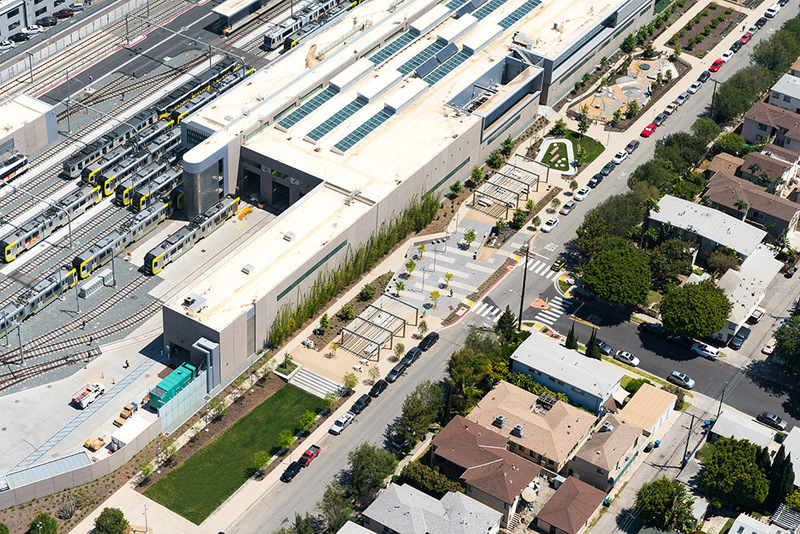 The 2.35-acre buffer park—named after local World War II veteran George Haruyoshi Ishihara and commissioned by the City of Santa Monica—is built on a slight 110-foot-by-55-foot space set aside during construction of a new maintenance facility servicing Metro’s Expo Line fleet. 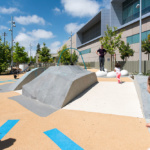 Astrid Sykes, senior associate at MLA, said that the firm designed Ishihara Park to be “more than just a buffer” between the low-rise neighborhood and the monolithic maintenance depot. 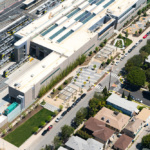 “We designed it to be a true asset for the community as well,” Sykes explained. 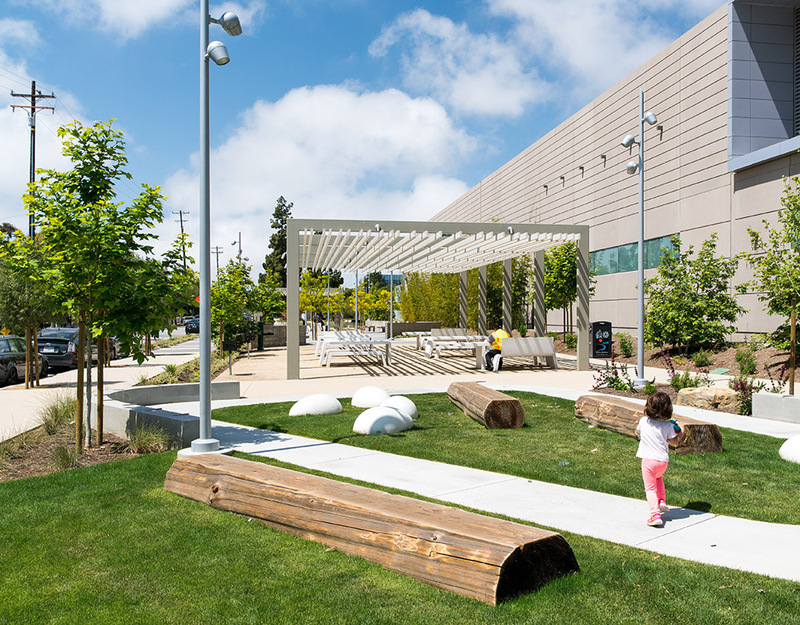 The multifaceted park, shaped by local input, reflects a desire to create spaces for recreation and decompression that also sequester carbon and groundwater. 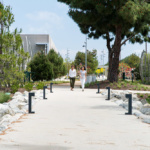 To meet these ends, the park is organized as a series of discrete “garden rooms”—a bird habitat, community pavilion, rock garden, fruit grove, and meadow—connected by a meandering half-mile-long walking trail. The far western end of the park not only contains vine-covered trellis structures, salvaged pine trees, and lush undergrowth habitats for birds, but also has a collection of stationary exercise equipment. 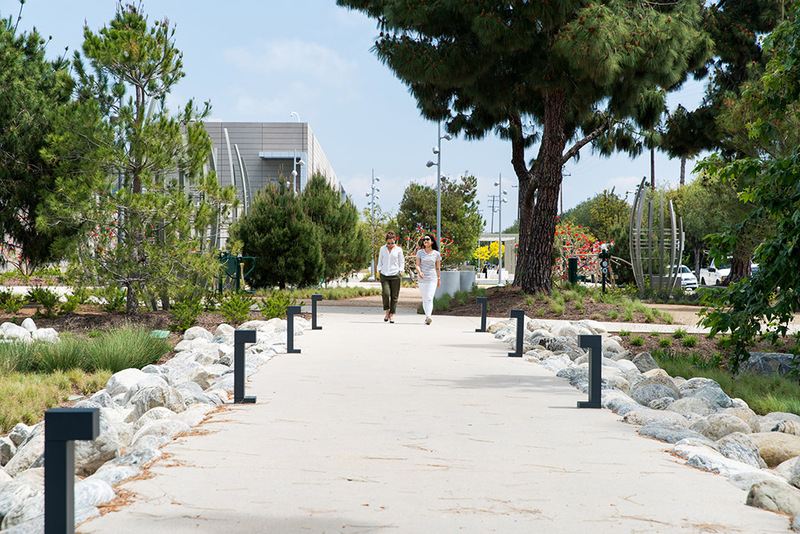 Tranquil wooded trails flow through the bird-habitat/exercise area and lead to a central community space. Here, a pair of lawns and two picnic pavilions flank a plaza. The picnic pavilions are spared in their construction: A set of steel-beam structures that provide shade over streamlined cast-concrete picnic benches. 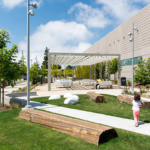 Between the pavilions, low concrete walls studded with integrated cantilevered seating frame the plaza, while four light poles run tidily through the center of the space in parallel with surrounding trees. The eastern pavilion runs into a second, diminutive lawn populated by smooth concrete sitting-rocks and benches made from planed-off logs. Beyond the lawn is a fenced playground—called the “rock garden”—containing a parabolic swing set, climbing-rock area, merry-go-round, and an assortment of sinuous cast-concrete benches. Further down its length, the park contains a fledgling orchard and a teaching garden. At the far eastern end, the walking path splinters into a series of sand-packed trails that frame a collection of ficus trees.